The mounts are partially factory and partially home made. 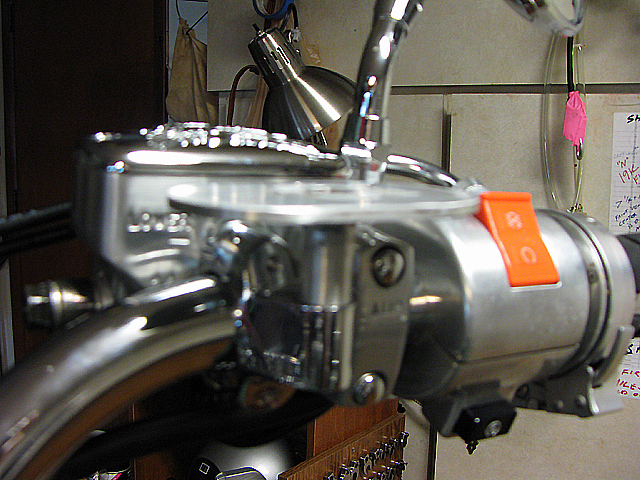 The photo shows the homemade part on the factory clamp (not included with unit). The base riser is ½” solid aluminum rod with a ¼” hole bored with a lathe. The base is a 1/8” piece of aluminum cut to size (all from Home Depot). Then I tig welded the aluminum parts together and power buffed them with rubbing compound. 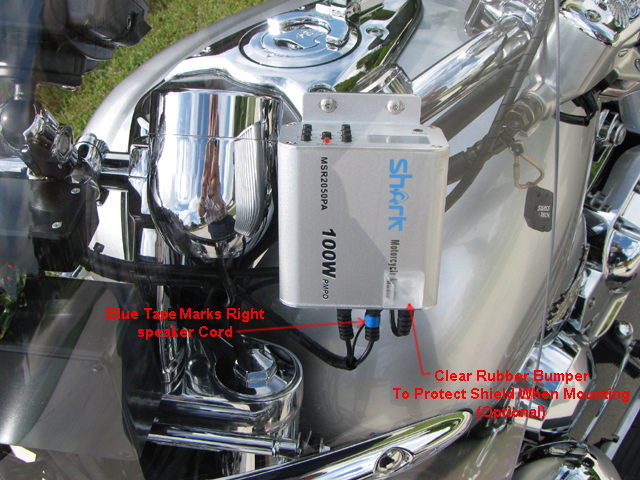 I fastened the upper and lower parts of the mount together with a ¼” Diameter flat head stainless steel bolt. 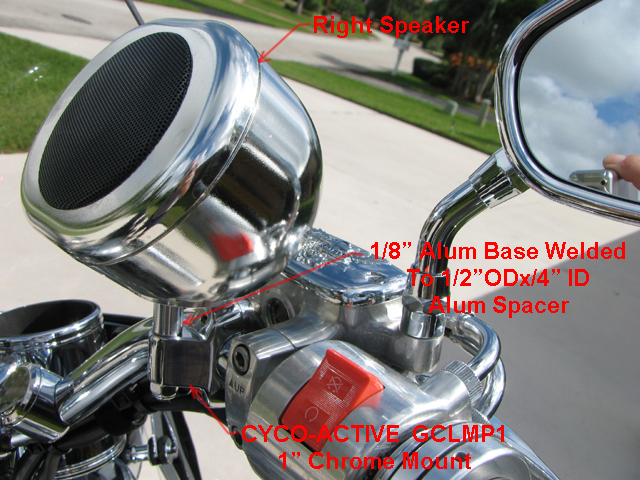 The speakers housings are plastic and speakers are included with the unit. The sound quality is superb. 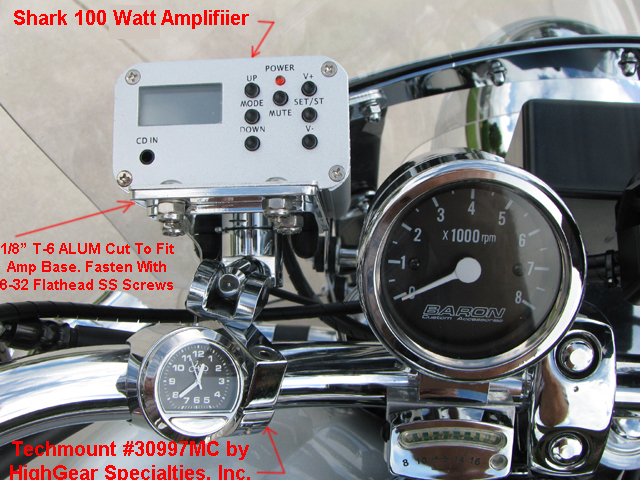 The Amp has a built in FM radio and clock. Base, treble, volume and a cable remote control included. They included a mount however I didn’t like the looks of them. Thanks for the info, I read the information on the web site and it said it had a radio. So If I decide to go this route it sounds like I would need to invest on some different mounts. Thanks again this site is grea, it allows you to minimize any mistake on ideas for our cycles. The start of every new journey begins in 1st gear. Just got this system today in the mail and anxious to install it to cure my winter blues and riding withdrawls. I have a VTX as well and my main question is regarding the control panel. I see you have yours mounted right up front for easy accessability. My question though, is that is probably not meant to get wet right? Also, what did you wire up with the brown speaker wire?? Not sure what the purpose of that is....can you elaborate?? Everything looks good. Nice install. The ONLY thing I'd do differently, and to each his own, is to wire it to the battery or another continuous power source. If you want to listen to it while stopped somewhere you'll have to have the key on. I put a switch on mine and have only left it on once and that was in the garage so I could charge the battery easy enough. I just wanted to say great info on the stereo install. I just purchased one and needed to find a bracket for mounting my amp. The one you have is indeed exactly what I'm looking for. One other question for you, did you get the remote control unit for this? I didn't see it installed anywhere in the images so I'm assuming not. Was just wondering what the best location would be (or if there is another bracket you know of) that I could use to mount the remote. I just recieved my Shark Audio system and was looking over the manual. I have hooked it up to test, but now planning out the install. 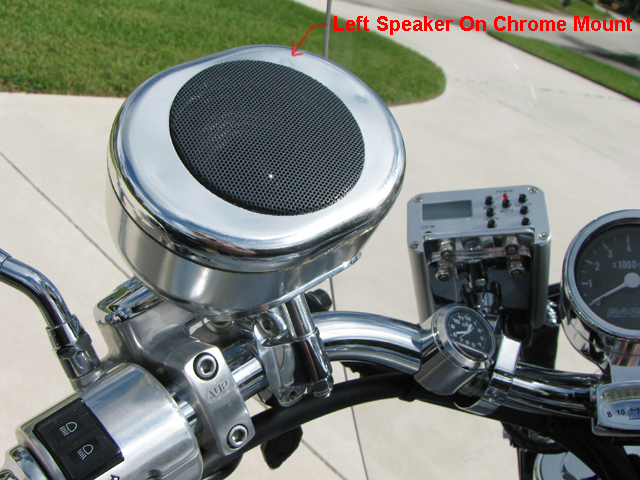 Speakers no problem...mounted in 5 minutes uses supplied brackets. Amp...still unsure where to put it. Wiring? GoodDeals says I can wire direct to battery and not have to worry about draining it? Anyone else wired direct to battery? Notice any problems? 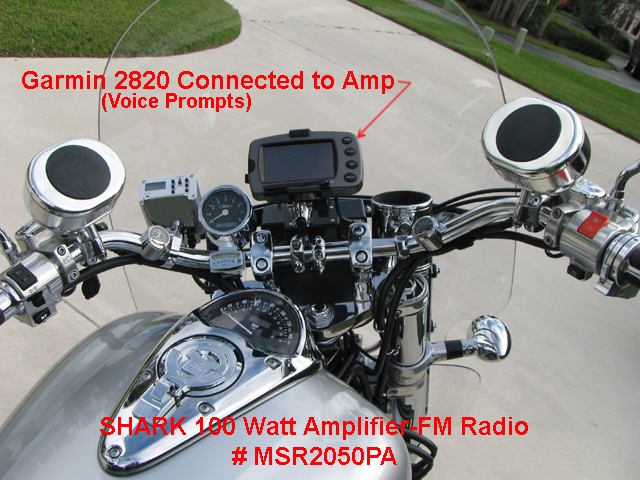 I have the 250w with radio version.